Click on the blocks below to view the details of the process, please read all the content below before purchasing any logo. If you like my work but didn’t find the logo type you want in the Logo Shop, I do have the option for other services such as Custom Logo Design, Logo Retouching, eSport/Personal Logo, and logo design in Other Language. Head to the Logo Shop Page and pick something that best represents your business and be aware that each logo will differ in price and “Customization Options". The list of logos in the Logo Shop is divided into two categories, Custom Template logos and Logos For Sale and the other filter options are there to narrow down your search. Custom Template: These are stylized text/typefaces that can be recreated into your company name and they are not created through a logo generator, I personally will be creating those logos and will add refine touched and adjustments to create a well-polished logo for the customer. No logo generator can do that! Please pay a good attention on how each logo template is designed, for example, the way each letter looks and the number of colors it can have. These logos are more affordable in cost, prices range $100-$550 USD. Logos For Sale: These are original ready-made logo designs and each one is sold only once and will be removed immediately from the Logo Shop after being purchased. In this category, you'll find more different types of logos for example Combination Marks, Illustrative logos, Emblem logos. The price range for For Sale Logos is $100-$900 USD. I have created for each logo custom form to make it easy to fill in your details. Please read each note available for each section to help you out as you fill in your information. If you tried to add a logo to cart but you get a window message "UNABLE TO ADD ITEM" that's because you need to select the number of rounds of revisions, you pick 0 rounds if you don't want any revisions. For your Company Name, Please be aware of each logo’s typography, if you choose a logo that is using all caps for its text then your text/company name will be in full caps too. Colors Each logo has a specific number of colors and they are labeled in an alphabetical order. These letter labels help tell you where each color is applied. Please be careful when you assign your colors for each label, so double check the logo mock-up image when applying your colors. if you like the existing color, please type in (Leave As Is) in the input. If you wish to not have a color please type in (Remove) in the input. Custom Template: Don't include a logo revision, however you can still add this option when your doing your checkout and you'll get a price update once you add an addictional round of revisions. Logos For Sale: logos that are priced $600 and above get only 1 free round of revisions. logos under $600 won't have a free round of revisions but you can add it manually during the checkout. If you decide after the first round that you need another round, then you can purchase it on this __[page]___. Your logo color information can be provided either in Hex Code or CMYK breakdown or even a Pantone color, please see the example image below. If your knowledge is limited about color please read this [ article ] for more information. For more help on finding the best color combinations please see the list of links below. If you don’t feel like going through all of this hassle, you can just simply write down your list of colors that you like. Within 10 days from the initial day of the purchase. If you added an additional round of revisions it will extend to 15 days. 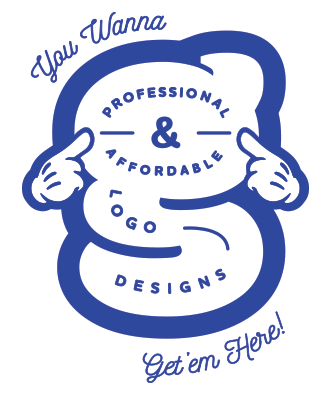 Logos priced $600 and above will have within 15 days because they already include a free round of revisions. I have mentioned this detail on each logo form so please read the form carefully. Your package will be sent via email and it will include that are EPS, JPG, PNG, and a PDF file. Not all logos share the same package deals, depending on the logo design you have picked the mock-up image will show you if your logo has initials/favicon or a horizontal/vertical version included with its package. My logo design service will NOT be available to the following list of businesses and products; Pubs/Alcohol Brands, Nightclubs, Pharmaceuticals/Medicine Brands, Adult Content, Cannabis Products, and food containing pork. All declined orders will receive their refunds. Not following the restrictions that each logo design has, for example, surpassing the character limit defined in "Company Name” and please be aware that each logo design will have a different character limit. For Custom Template Logos, no repeating names, if two customers share the same "Company Name" and both decided to use the same Wordmark logo design, then first come first served, I will not resell two copies of the same logo design to two different customers. I'll be keeping in records for all "Company Names" for each Custom Template logo. Prices in the Logo Shop are in the USD currency. If you reside in Canada you will be billed in Canadian Dollar + 13% HST. You are more than welcome to get a refund before receiving your logo file package. If you've received your logo file package then you'll not be eligible for a refund. Orders that didn't follow the logo restrictions will be declined and will receive an email notification and a refund of the paid amount. Mohamed Hashim retains the right to display the designs in a portfolio or an online gallery, unless if the client personally requests to have the design to be private. What's WRONG With The NEW Google Logo?? ?